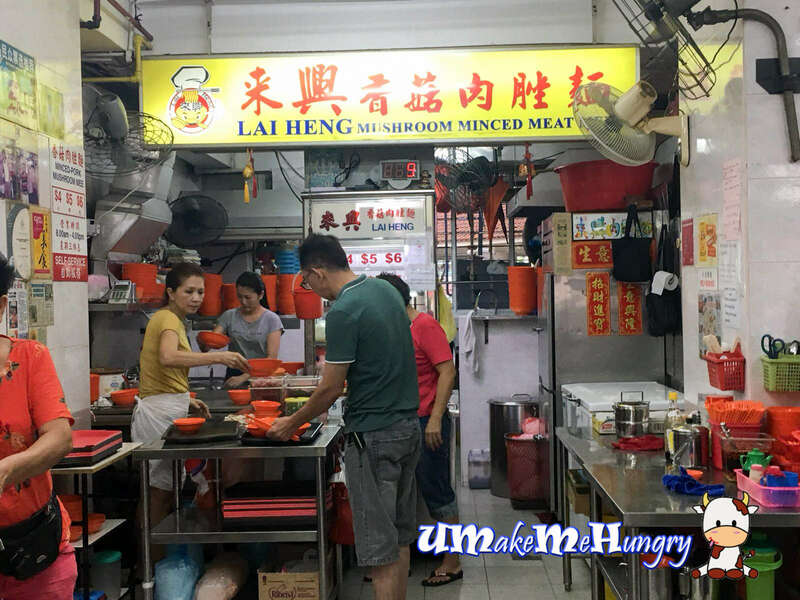 People staying in Toa Payoh probably know Lai Heng Mushroom Minced Meat Noodles as one of the popular eats. With its popularity, it is common to wait about 30 minutes of more. I had patronized Lai Heng many years back when they were still located elsewhere. Their orders were so much that they have make the queue system digitalised. 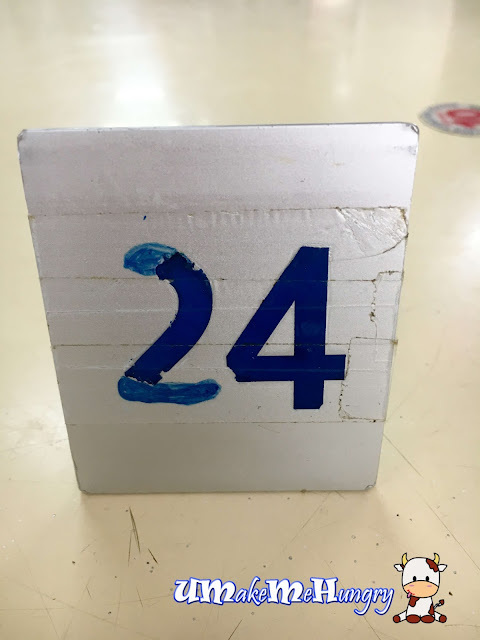 Once your order is ready, the running number will be displayed on the panel and you can make your collection. I'm not prepared for a churning stomach in the morning thus I ordered the soup Bee Tai Mak version that is also one of their recommendations. The fried sole fish had given a good taste to the soup. 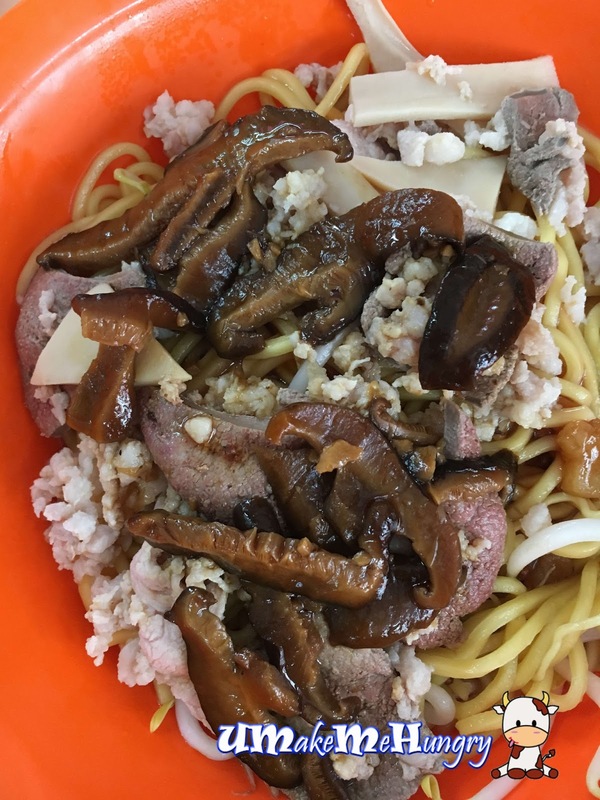 On top of that the generous slices of fragrant Chinese mushroom had also enhance the noodle taste. Ingredients like bean sprouts, mock abalone, seaweed, minced meat and liver were included too. If you prefer the dry version, it is best to go for chilli version but in this case, we did not include the it as we prefer not to. Ask for extra chilli if you can take spicy. I find that their standard dropped and is it really worth the wait now? Though we can find alternatives that are better than Toa Payoh Minced Meat Noodle, Lai Heng Mushroom Minced Meat Noodle still have a group of supportive fans around as I realized not long after my order, Mee Kia and Mee Pok had been sold out and there were still 20 over orders in the queue right after mine.